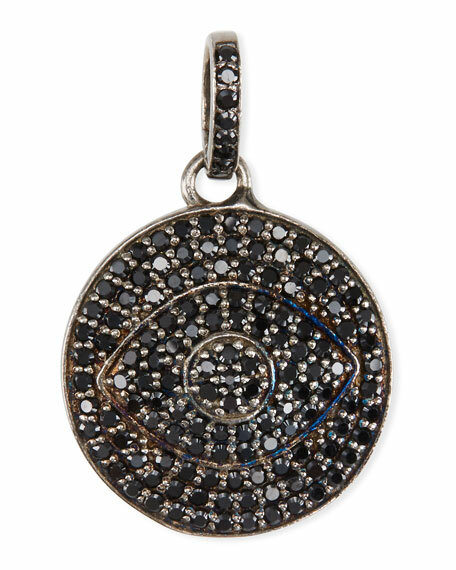 Margo Morrison black spinel evil eye charm. Polished silvertone hardware and settings. Black spinel pavé bale and round drop. Evil eye motif at center of charm.